British Gas owner Centrica has vowed to hold its energy prices at the same rate as it confirms it is well on the way to meeting profit expectations. The 'Big Six' energy company expects to see a seven per cent rise in group operating profits for the full year and has cited the long period of cold weather as one of the main reasons behind the boost in profits. 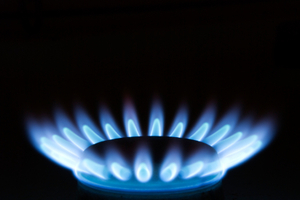 Last year, British Gas bumped up its energy bills by six per cent, seeing more than 8.4 million homes hit with higher energy bills, however it used its latest announcement to emphasise it would act to hold its prices at a more steady level for as long as possible. In a trading update ahead its AGM meeting today (13 May) it said: "Against a background of sustained cold weather and periods of higher commodity prices, Centrica has performed well in the year to date. "As a result of the unusual period of extended cold weather, average residential gas consumption was 18% higher in the first four months of 2013 than in the same period in 2012, and average residential electricity consumption was three per cent higher. "Recognising the economic pressures facing many of our customers, the board has determined that any benefit arising from the exceptionally cold weather will be used to maintain our price competitiveness. The firm also confirmed it has seen the addition of more than 28,000 customers to its consumer base this year as well as passing the one million mark of installing smart readers - designed to boost a homes energy efficiency. As British Gas is working alongside the Government as part of its Green Deal, it also offers customers a subsidised rate on items to include the energy efficiency of their home. This includes the fitting of a new energy efficient boiler, wall insulation and even solar panels.